We at Old Glory Safe Co. know what it takes to build you the best gun safe to protect you and your loved ones. We offer many affordable options for you to protect your guns. Browse the New 2019 Gun Safes for sale below, if you see a safe you like you can securely order online or call us we are happy to assist you with your gun safe order. Our newest advancement is Double Step Steel Frame Doors and Reinforced Frame with Hardened 20 Locking Bolt Triforce Locking System now standard on BR Elite & SD Pro Gun Safes. Gun Safes for Sale with all the upgrades included like the (20) Bolt Locking system, Double Step-Door, Reinforced Steel Frame, heavy-duty geared bolt work, advanced tactical features. Owning an Old Glory Gun Safe is a once in a lifetime purchase. Many gun safes are not built with the standards that are followed by Old Glory Gun Safes. We offer a lifetime warranty which includes service and parts, we use name brand locks covered by an unlimited lifetime warranty, your security is not an option for us it's a guarantee!. We are always just a phone call or email away, try us and be shocked at our level of service to you. 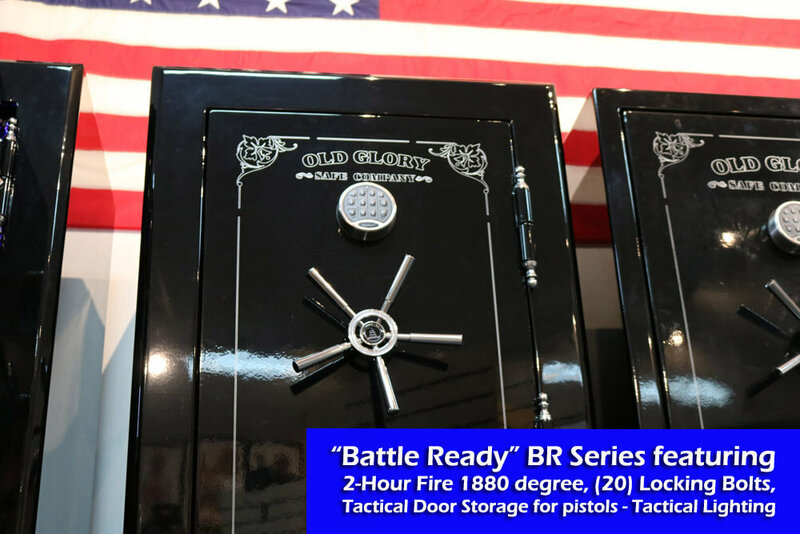 The New 2019 "Battle Ready" BR Elite & SD Pro Series Gun Safes are NOW AVAILABLE! 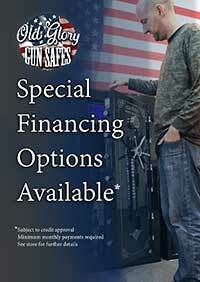 If you would like to get financed for a gun safe you can apply now. 5 days Delivery Time Free Shipping. Slight Back Order - Shipping March 28th Free Shipping.